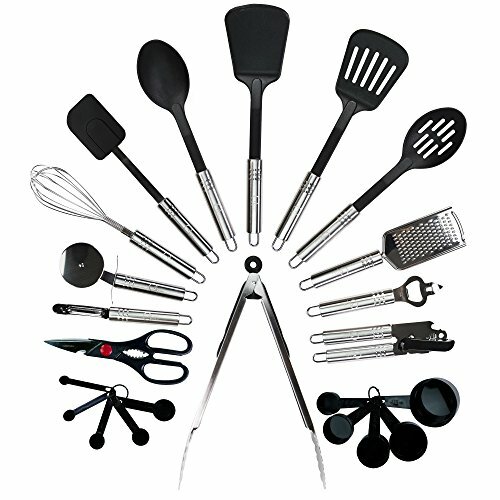 Whether you’re just starting your kitchen cooking collection or looking to revamp your current set of utensils, this stainless steel and silicone equipment is made to last and look great in your kitchen. For spoons and spatulas you can proudly keep on the counter and happily cook with, choose the Golden Chef Collection. 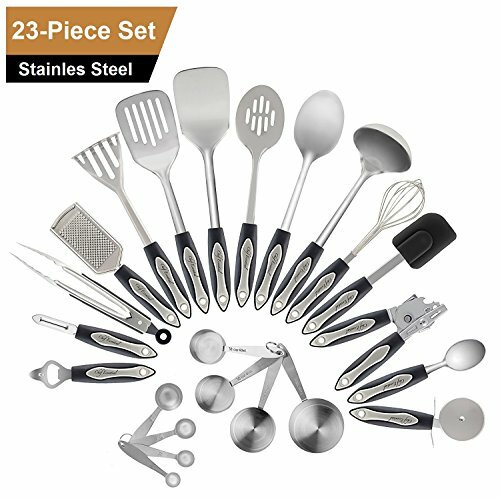 The spoons are a slotted serving spoon, a spaghetti spoon, a skimmer, a solid basting spoon, a soup or punch ladle, and a turner spatula that is safe for use on non-stick pans. Each piece is made of heat resistant silicone so you can put your tools to the test. 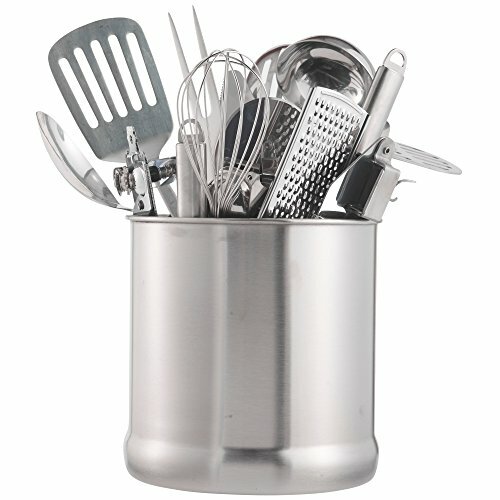 All the cups and spoons you need as you bake and cook, with a 1 C., ⅓ C. , ½ C., ¼ C., 1 Tbsp, 1 tsp, ½ tsp, and ¼ tsp. With the measurements molded right onto the cups and spoons, you’ll never have to guess which one is which. 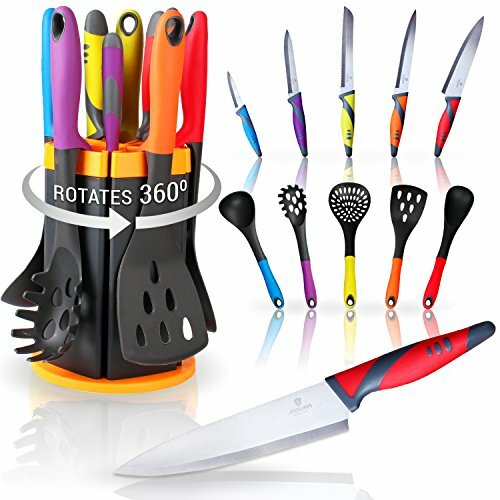 Your set of stainless steel and silicone kitchen utensils comes with a heat-resistant silicone glove that can be used to quickly and easily grab baked goods out of the oven. Made of waterproof silicone, the glove is easy to wash.
Our long lasting kitchen utensils are a great deal: high quality at a great price with all the essential kitchen utensils. We’re so confident that you will love your new set, that we’re offering this guarantee: love your purchase or your money back. No questions asked.